The majestic Royal Challenge is a mild to medium bodied cigar that is smooth and complex. The blend is highlighted by an aged silky Connecticut/Ecuadorian shade wrapper, a Habano/Honduran binder that is perfectly complimented by Nicaraguan and Dominican fillers. This delectable cigar is worthy of the Royal Challenge. When we think of a premium cigar, we are moved toward aromatic, flavorful, handcrafted works of art that are carefully cured, with just the right assortment of blended tobaccos. Cigars have often been viewed as a sign of the upper class, shared by members of elite social circles during special occasions. The nature of cigar smoking however, is built around the wholesome nature and character of an individual, rather than wealth or success. Kaizad Hansotia has taken note of this concept and launched the Royal Challenge lineup. Gurkha Cigar Group’s praised reputation has set a new standard for quality and excellence in the cigar industry. Gurkha’s Royal Challenge series offers a premium brand with their renowned craftsmanship at an affordable price tag. Gurkha Royal Challenge cigars are rated 91 and the cigar’s band is the winner of the 2012 SAPPI European Printing Awards. Handcrafted by cigar master K. Hansotia, the Gurkha Royal Challenge premium cigar is made for smokers who like their stogies mellow but full flavored. An Ecuadorian Connecticut shade grown wrapper and Habano Honduran binder and carefully aged Dominican and Nicaraguan filler finish out the blend. The result is an amazingly full flavored, complex cigar with notes of woodsy cedar, toasted almonds, buttery cream, and dash of black pepper. 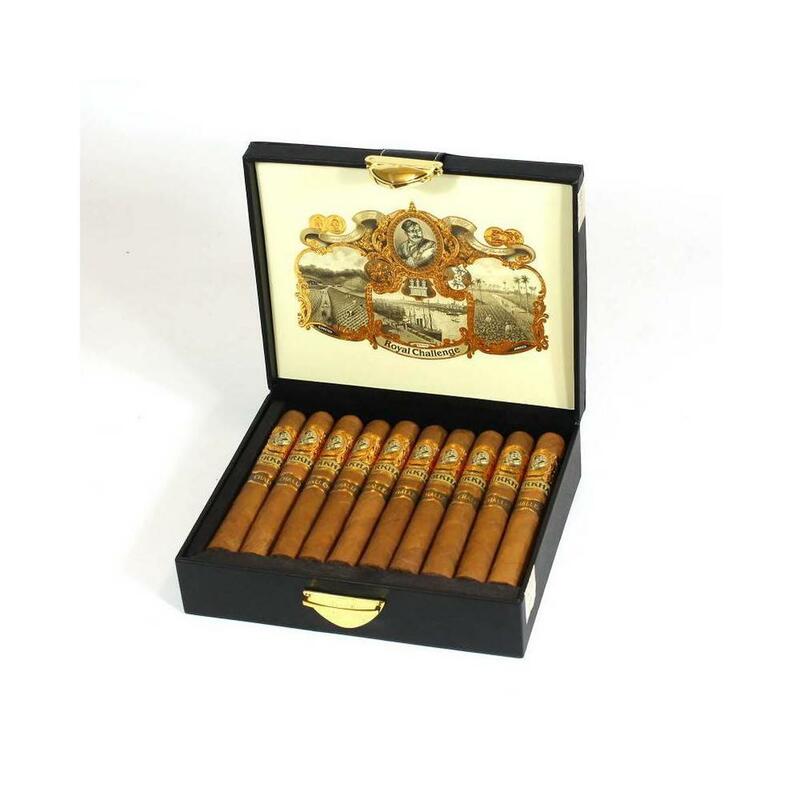 The premium cigars are packaged in boxes of 20 in well-dressed black leather style boxes with an elegant gold buckle clasp. The intricate black and gold label and bands will impress those with an eye for the aesthetics of a premium cigar. This would make a great gift for all your cigar loving friends.